The Castle of the Moors is a hilltop medieval castle located in the central Portuguese civil parish of Santa Maria e Sao Miguel, about 25km northwest of Lisbon. Built by the Moors in the 8th and 9th centuries, it was an important strategic point during the Reconquista, and was taken by Christian forces after the fall of Lisbon in 1147. 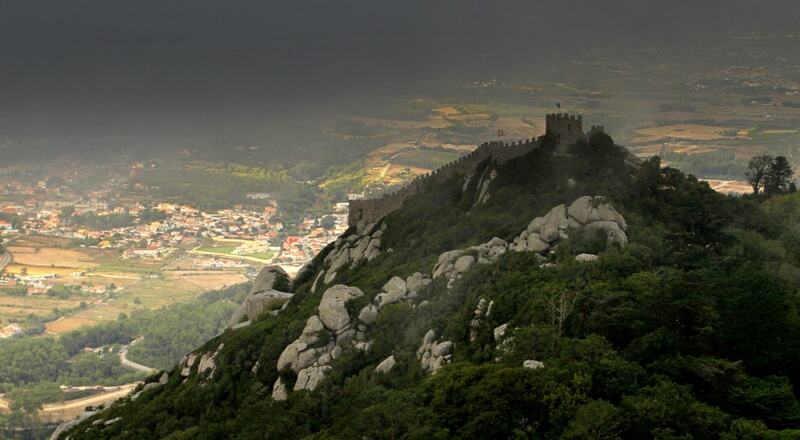 It is classified as a National Monument, part of the Sintra Cultural Landscape, a UNESCO World Heritage Site.